Jesus calls people to be fishers of men, but we prefer to watch. “Flunk” is a word we don’t use much anymore. It’s a hard, sharp, inflexible kind of word. But it’s probably a good word to use to quickly summarize how most of us have done in obeying the call to evangelize. Jesus says to tell all nations the good news, but we haven’t. Jesus calls people to be fishers of men, but we prefer to watch. Peter says to always be ready to give a reason for the hope that we have, but we are not. Solomon says he who wins souls is wise, but we flunk. But if you’re anything like me, you’re probably not quite so blunt about your failures in evangelism. You’ve altered your mental records. In fact, even at the time you’re not witnessing, you’re busy spinning, justifying, rationalizing, and explaining to your conscience why it was really wise and faithful and kind and obedient not to share the gospel with a particular person at that time and in that situation. 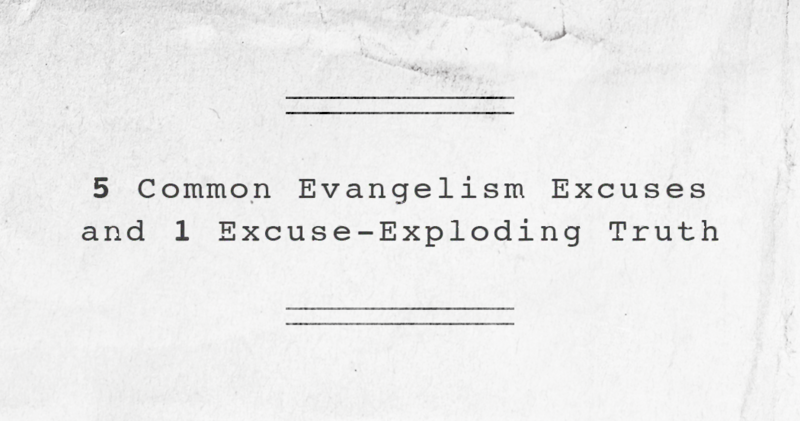 Throughout the rest of this article, we want to consider some of the most common excuses we use to justify our nonevangelism. Generally, those excuses just come into our minds, save us from having certain conversations, and then quickly pass by. In this article, we want to slow down our excuses and keep them quiet for just a moment so that we can talk to each of them. Of course, there are thousands more excuses than those listed here, but these are some particularly popular ones. Now, a language barrier is an impressive excuse. If you’re sitting next to people who only speak Chinese or French, you don’t have much of an opportunity to share any news with them, let alone news about Christ and their own soul. Of course, you can work to learn another language and so be able to share with many other people. You can keep around Bibles or evangelistic literature in other languages to give away as you have opportunity. But ever since the Tower of Babel, “I don’t know” has been one of the most legitimate excuses we could imagine. Paul warns the Corinthians of the uselessness of speaking words that are unintelligible to someone (1 Cor. 14:10–11, 16, 23). After all, the whole point of our using words is to be understood! Even in countries where evangelism is legally allowed, many of us have jobs for which employers are paying us to get a certain amount of work done, and they have a legitimate expectation. During those work hours, it may be that our evangelism distracts people, or reduces our productivity, or does other things that can cause our employers valid concern. We certainly don’t want the sharing of the gospel to bring us or the gospel into disrepute for any reason other than a disagreement with the message itself. We understand that everyone is, by nature, at enmity with God; but we simply don’t want to give people other reasons to oppose our evangel. We don’t want our evangelism to stand in the way of the evangel—the good news. There is so much else to do in any given day. We’ve got to care for our families and plan for our weekend. The job has to be done, and the bills have to be paid. Studies, cooking, cleaning, shopping, returning calls, writing emails, reading, praying—I could go on and on about all the good things we need to do. And many of these things are time-sensitive. If I have a misunderstanding with my wife, I need to take care of that immediately. If the baby is crying, I need to get her home now. If the paper is due tomorrow, I’ve got to get the writing done right away. If we’ve got no food for tonight, I’ve got to do some shopping and cooking now. It is legitimate for me to make and fulfill many commitments in life other than evangelism. But do our other commitments sometimes become so numerous—or do we interpret them so—as to leave no time for evangelism? If we are too busy for that, what things are we managing to make time for? Isolation from unbelievers may be the most common excuse for a lack of evangelism. This is the excuse of choice for mature Christians. When I’m honestly reflecting on my own life, I see that I have fairly few significant relationships with non-Christians. I’m a pastor. I’m not around non-Christians much as part of my job. I am busy writing sermons, counseling, planning, training other Christians, returning phone calls—even writing a book on evangelism! I’m generally unavailable to people except for my church members during the day or my family in the evening. I’m really absorbed with Christian relationships, and I think that I’m called to be. But in cases like mine, how does evangelism fit in? If you’re a young mother at home with her children, or an older Christian, retired and not easily able to build new relationships, then you, too, know something of this challenge. If you’re a new Christian, you’ve probably been advised (wisely) to build new, significant friendships with Christians. And if you’ve been a Christian for a while, then you’re probably busy with service in the church and spending your time discipling younger Christians. One of the best decisions we can make is to pray and talk with a Christian friend about how we can legitimately fulfill our roles in the church, in our family, and in our job while also getting to know and speak with non-Christians. Another set of excuses has to do with problems you and I think that others will have with our witnessing to them. How many times have I had these more subtle and advanced excuses assemble in my mind as I’m thinking about sharing the gospel with someone? “People don’t want to hear.” “They won’t be interested.” “They probably already know the gospel.” “It probably won’t work. I doubt they’ll believe.” I don’t think about how powerful the gospel is. I get myself in a wrongly hopeless mindset. Of course, I should consider how faithless all this is. As Paul said to the Corinthians, “Who makes you different from anyone else? What do you have that you did not receive?” (1 Cor. 4:7). Why do we think that we would respond to the gospel, but someone else wouldn’t? Haven’t you found that God saves some of the most unlikely converts? If you aren’t sure about this, consider some friends you’ve seen converted. Consider your own conversion. Jonathan Edwards called one account of the Great Awakening A Narrative of Surprising Conversions. Of course, in one sense, all conversions are surprising: enemies are loved, the alienated are adopted, those who should be punished inherit eternal life instead. 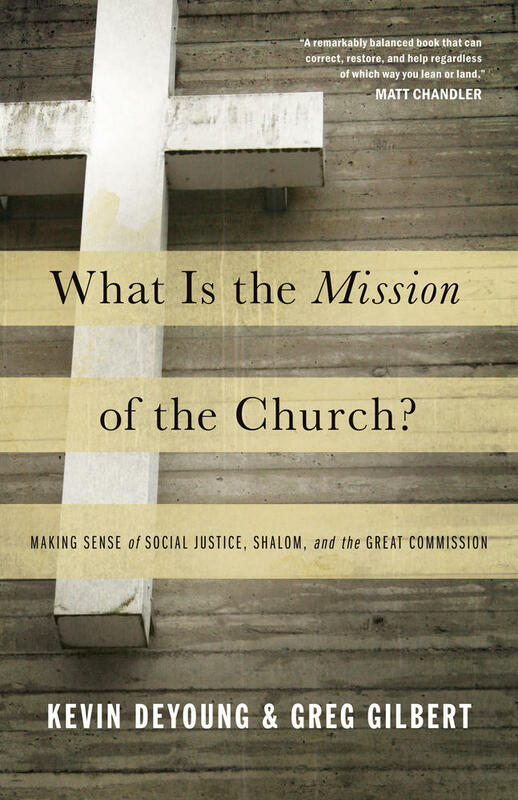 But it is exactly this radical, surprising nature of conversion that should encourage us in our evangelism. God may save anyone. And the more unlikely it appears, the more glory, we might even reason, he gets to himself when it happens! Here we are getting down closer to the heart of most of our nonevangelism. What’s going on with us when we don’t evangelize? Let’s think about twelve steps we can take: pray, plan, accept, understand, be faithful, risk, prepare, look, love, fear, stop, and consider. 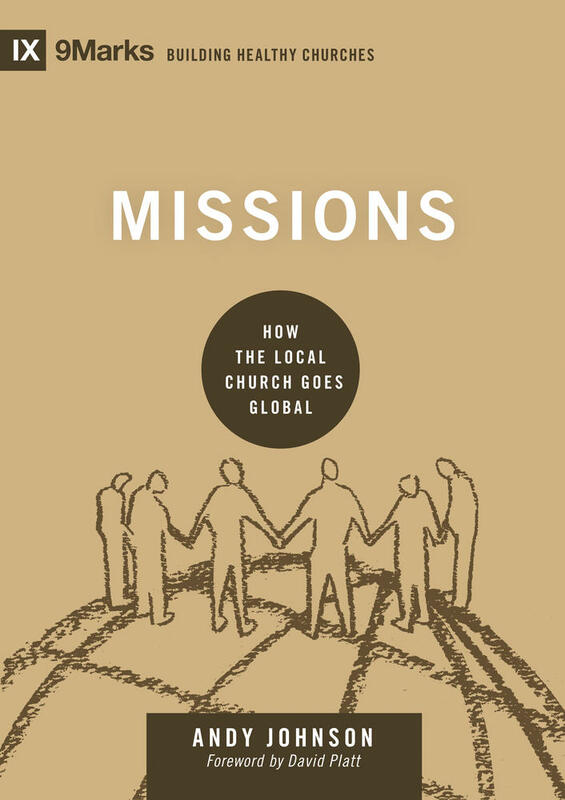 Pastor Mark Dever seeks to help readers understand the biblical foundations of evangelism and challenge them to develop a culture of evangelism in their lives and their local churches. I think many times we don’t evangelize because we undertake everything in our own power. We attempt to leave God out of it. We forget that it is his will and pleasure for his gospel to be known. He wants sinners saved. Simply put, we don’t pray for opportunities to share the gospel, so how surprised should we be when they don’t come? If you’re not evangelizing because you think you lack opportunities, pray and be amazed as God answers your prayers. To fight such excuse making, we can plan to make time to build relationships or to put ourselves in positions where we know we’ll be able to talk with non-Christians. We plan for so many less important things; why not plan for our evangelism? We have to accept that this is our job. Sometimes we don’t evangelize because we think it’s not our job. It’s the job of preachers, we think, or someone else who is trained and paid for it. 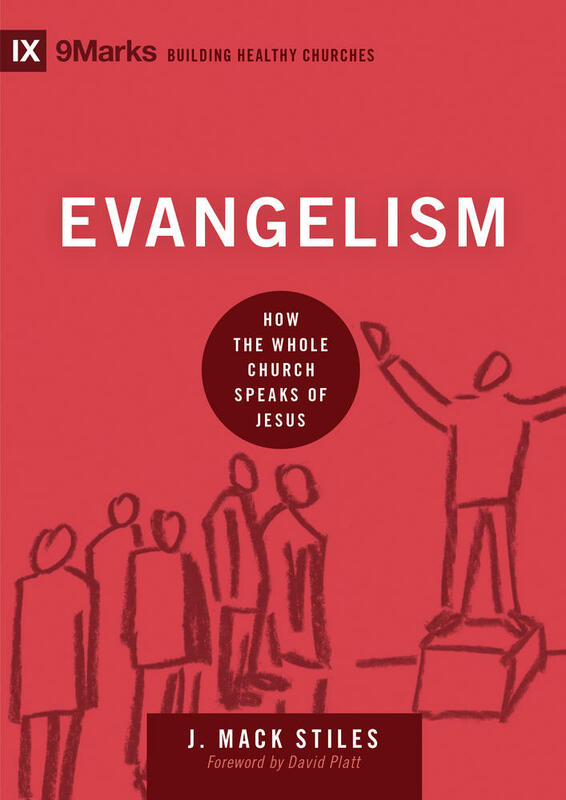 But if we are going to evangelize, we have to realize and admit how we’ve been dodging our duty and adjust ourselves to accept responsibility for evangelism. We might be the closest Christians to a particular unbeliever. Maybe he has a Christian uncle or aunt, friend, or employee who has been praying for him. Maybe we are the answer to those prayers. We must accept, we may accept, we get to accept the wonderful role that God has for us as evangelists in others’ lives! Part of our failure to evangelize comes from a lack of understanding. God uses not so much gifts for evangelism (though there is a biblical gift of evangelism) but the faithfulness of thousands and millions of Christians who would never say evangelism is their gift. Your conclusion that you are not gifted for a particular task does not absolve you of responsibility to obey. You may conclude that evangelism is not your gift, but it is still your duty. Not having the gift of mercy in no way excuses us from being merciful. All Christians are to exercise mercy; some will be particularly gifted to do this in special ways at certain times, but all are to be merciful. So with evangelism. God may unusually bless and own a Peter and a Philip, a Whitefield and a Spurgeon, a Hudson Taylor and an Adoniram Judson, but he calls all of us to share the good news. Perhaps we need to rebalance our allegiances. Maybe we are too polite to be faithful to God in this area. Maybe we are more concerned about people’s response than God’s glory. Maybe we are more concerned about their feelings than God’s. God does not like having his truth suppressed, and that’s what the non-Christian is doing (Rom. 1:18). Good manners are no excuse for unfaithfulness to God, but we have, too often, used them so. Related to being faithful is being willing to risk. Let’s obey, even when we are not exactly sure of the response. Maybe you don’t evangelize sometimes because you’re shy. You don’t really enjoy talking to others that much, especially about things that may upset them. It seems tiring and dangerous. Maybe you would rather let someone else, someone who seems more comfortable, do the evangelizing. But could you invite unbelievers to a meeting where they will hear the gospel? Can you share with them a useful book or a story from your own life? Can you befriend them so that you may be able more naturally in the future to share the gospel with them? We must be willing to risk in order to evangelize. Related to being faithful is being willing to risk. Let’s obey, even when we are not exactly sure of the response. Sometimes we don’t evangelize because we think we are unprepared or ill-equipped. Maybe we don’t know how to transition the conversation. Or perhaps we think that in our ignorance we’ll fail at this and actually do spiritual harm to the person by discrediting the gospel in their eyes. We fear our ignorance. We think that it’s up to us to make the gospel seem sensible to them or to answer all their questions. And, so, having inflated these expectations, we decide we can’t meet them and so neglect evangelism. Instead, we could prepare ourselves by knowing the gospel, working on our own humility, and studying more. Just as we might plan to have time, so we might prepare to be able to use the opportunity well when it comes. Have you ever prayed for something and then been surprised when it comes? I know I have. And I guess that means I really must not have been expecting God to answer that prayer request. It may be the same with my evangelism. Maybe I’ve prayed for opportunities but then not really looked for them. Perhaps I’ve been careless when they’ve come. The way I’ve been careless can vary. Sometimes I don’t see the opportunities because I’m busy. Evangelism can, after all, be time consuming and inconvenient. Or maybe I’m too tired. Perhaps I’ve used up all my energy on entertaining myself, or working, or on everything other than this non-Christian whom I could talk to. And therefore I don’t even notice the opportunity. Maybe my neglect of opportunities is more habitual. Maybe I’m lazy, caring more that I not be hassled or hurried than that this person hears the gospel. Maybe, when it comes right down to it, I’m simply selfish. I don’t see the opportunities because I’m unwilling to be inconvenienced. I guess that means that I am, finally, apathetic. My blindness to God’s provision is voluntary. I don’t consider the reality and finality of death, judgment, and hell. So I don’t notice the reality of the person and their plight before me. We must not only close our eyes in prayer for opportunities, but we must then open our eyes to see them. We are called to love others. We share the gospel because we love people. And we don’t share the gospel because we don’t love people. Instead, we wrongly fear them. We don’t want to cause awkwardness. We want their respect, and after all, we figure, if we try to share the gospel with them, we’ll look foolish! And so we are quiet. We protect our pride at the cost of their souls. In the name of not wanting to look weird, we are content to be complicit in their being lost. As one friend said, “I don’t want to be the stereotypical Christian on a plane.” That attitude too often characterizes me. My heart is cold to other people. I have a distorted self-love and a deficient love for others. And just to drive this home, as I’ve been writing this, a non-Christian friend called and wanted to talk to me. 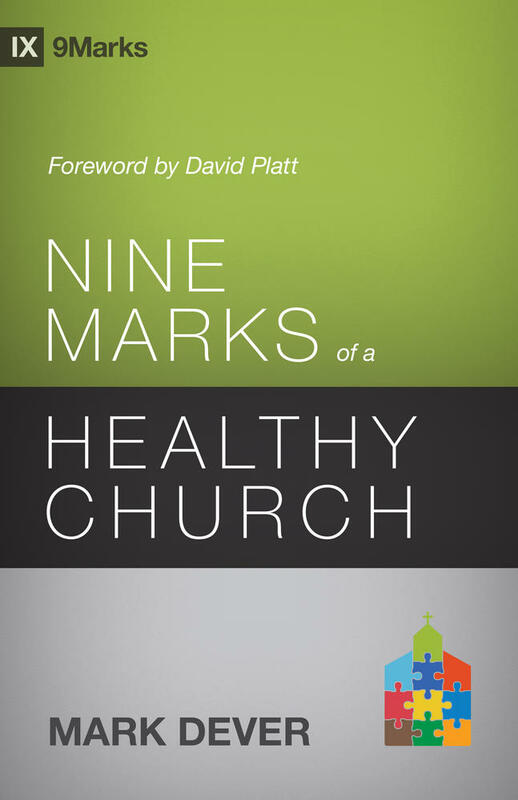 We chatted for about thirty minutes, the whole time during which I was impatient to get back to writing this book on evangelism! Aargh! Wretched man that I am! Who shall deliver me from this body of indifference? If we would evangelize more, we must love people more. We should also fear. But our fear should be directed not to man but to God. When we don’t share the gospel, we are essentially refusing to live in the fear of the Lord. We are not regarding him or his will as the final and ultimate rule of our actions. To fear God is to love him. When the One who is our all-powerful creator and judge is also our merciful redeemer and savior, then we have found the perfect object for the entire devotion of our heart. And that devotion will lead us to share this good news about him with others. We should pray that God will grow in us a greater love and fear of him. We should stop blaming God. We should stop excusing ourselves from evangelism on the basis that God is sovereign. We should not conclude from his omnipotence that our obedience is therefore pointless. We should instead read from the Word that God will call a great number to himself from every tribe, tongue, and nation, which will encourage us in evangelism. It encouraged Paul in Corinth when he was discouraged (see Acts 18). Again, if you will realize that conversion always accompanies proclaiming the gospel and the Spirit’s work, then you will stop trying to do the Spirit’s work, and you will give yourself to proclaiming the gospel. Just because we don’t know everything doesn’t mean we don’t know anything! We can’t answer all the questions of how God’s sovereignty and human responsibility fit together, but we can certainly believe that they do. It was Paul who wrote one of the clearest biblical passages about God’s sovereignty (Romans 9) and then went on to write one of the most pointed biblical passages about man’s responsibility in evangelism (Romans 10). He certainly believed both these things to be true. So who are we to blame God for our sinful silence? The writer of Hebrews said, “Consider him who endured such opposition from sinful men, so that you will not grow weary and lose heart” (Heb. 12:3). When we don’t sufficiently consider what God has done for us in Christ—the high cost of it, what it means, and what Christ’s significance is—we lose the heart to evangelize. Our hearts grow cold, our minds grow smaller (more taken up with passing concerns), and our lips fall silent. Consider that God has loved us as he has. Consider that God is glorified by our telling others of this amazing love of his. And consider that instead of gossiping about God’s goodness and the gospel, we engage in a conspiracy of silence. We reveal ourselves as being cold to God’s glory. If we would be more faithful in evangelism, we should fuel the flame of love toward God within us, and the flame of gratitude and of hope. A fire so enflamed by God will have no trouble igniting our tongue. As Jesus said, “Out of the overflow of the heart the mouth speaks” (Matt. 12:34). How much evangelism do we find flowing out of our mouths? What does that suggest about our love for God? 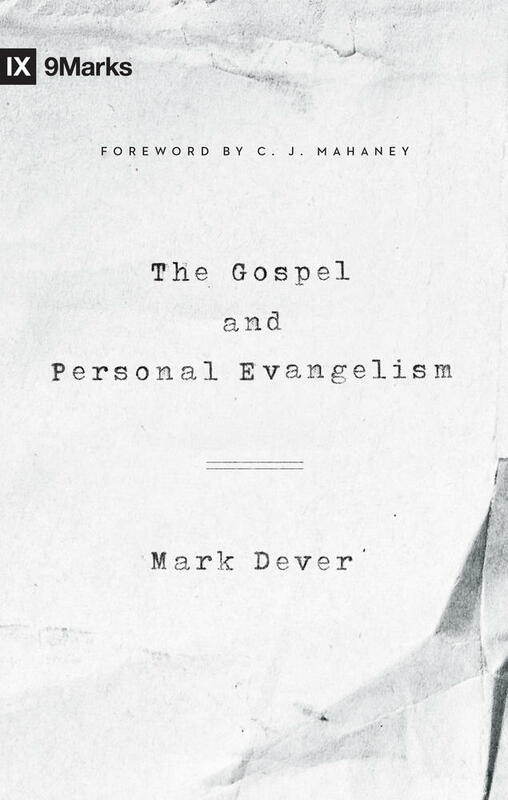 This article is adapted from The Gospel and Personal Evangelism by Mark Dever.